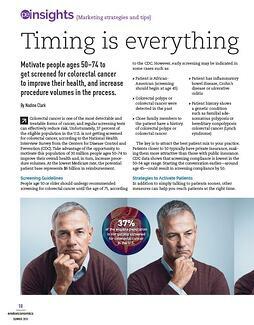 Motivate people ages 50-74 to get screened for colorectal cancer to improve their health, and increase procedure volumes in the process. Colorectal cancer is one of the most detectable and treatable forms of cancer, and regular screening tests can effectively reduce risk. 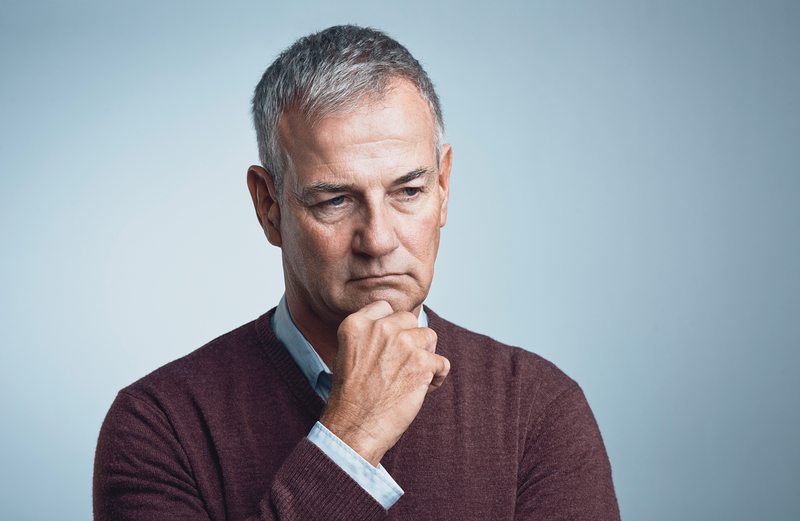 Unfortunately, 37 percent of the eligible population in the U.S. is not getting screened for colorectal cancer, according to the National Health Interview Survey from the Centers for Disease Control and Prevention (CDC). Take advantage of the opportunity to motivate this population of 30 million people ages 50-74 to improve their overall health and, in turn, increase procedure volumes. At the lowest Medicare rate, the potential patient base represents $6 billion in reimbursement. The key is to attract the best patient mix to your practice. Patients closer to 50 typically have private insurance, making them more attractive than those with public insurance. CDC data shows that screening compliance is lowest in the 50-54 range. Starting the conversation earliest-around age 45-could result in screening compliance by 50. In addition to simply talking to patients sooner, other measures can help you reach patients at the right time. Make it easy for your referral base. Provide patient education materials to hand out with referral slips. Communicate why screening is important in addition to explaining the procedure and pre-procedure paperwork. Provide the patient with reasons to select your practice. Spend time with your referral base to ensure they continue to support your practice. Implement a targeted marketing campaign in your community. Social media advertising allows you to target by location, age, interests and more. Offering something like a quiz to assess colon cancer risk draws patients to your website at minimal expense. Time your campaign to even our patient demand for screening procedures. Everyone tries to squeeze in exams in December before the New Year starts and they face another deductible. Marketing campaigns in the spring and summer can more evenly load your schedule. March is Colon Cancer Awareness month and a great time to start a campaign. Test your website. Does your website work well on a smartphone, tablet and computer? If not, it's time to update to a responsive website. Websites should convince potential patients that you are the best choice. This is often an emotional versus logical choice, so even reassuring design elements like a welcoming bio picture and waiting room images are important. Also ensure that the website offers patient education articles that provide all of the relevant information without being too technical.